BruinX is the Research & Development arm of EDI. BruinX is an internal, multi-disciplinary “think & do” tank dedicated to translating the best evidence and theory into practical, on the ground solutions that promote equal learning and working environments for all at UCLA. Check out some of our featured projects and meet the team below. Be sure to follow us on Facebook and YouTube! Devon Carbado is the inaugural Associate Vice Chancellor, BruinX, within UCLA’s Office of Equity, Diversity and Inclusion, and is also the Honorable Harry Pregerson Professor of Law at UCLA School of Law. He has won numerous teaching awards, including being elected Professor of the Year by the UCLA School of Law classes of 2000 and 2006 and received the Law School’s Rutter Award for Excellence in Teaching in 2003 and the University’s Distinguished Teaching Award, the Eby Award for the Art of Teaching in 2007. AVC Carbado was recently named an inaugural Atlantic Fellow for Racial Equity. Mr. Feingold received his J.D. from UCLA School of Law, where he specialized in Critical Race Studies. After graduating, Jonathan joined Sidley Austin LLP before clerking for the Honorable Richard C. Wesley of the United States Court of Appeals for the Second Circuit and the Honorable Dale S. Fischer of the United States District Court for the Central District of California. Jonathan has published multiple articles that examine the relationship between race, law, and the mind sciences. 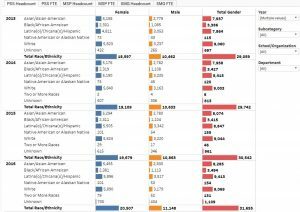 Representative articles include Hidden in Plain Sight: a More Compelling Case for Diversity, 2019 Utah L. Rev. 59 (2019), and Defusing Implicit Bias, 59 UCLA L. Rev. Discourse 210 (2012) (with Karen Lorang). 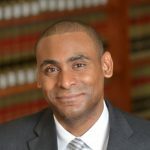 Jonathan received a 2014 California Lawyer Attorneys of the Year Award for work done in connection with Rodriguez v. Robbins, a case concerning immigrant detainees’ right to bond hearings. 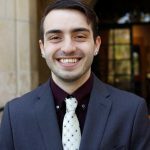 Mr. Kinsfather received his Bachelor of Arts in Psychology from UCLA in 2017, with a minor in LGBT Studies. He is passionate about social justice and increasing equity and accessibility of education for traditionally underserved communities. While at UCLA, he conducted research focusing on how universities can leverage social connectedness to improve the experience of underrepresented students, and the ways that universities can incorporate more diverse practices in course curricula. 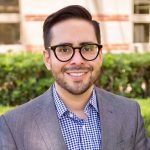 He has previously worked for the LGBT Center at UCLA, advocating for the LGBT community, with emphasis on improving accessibility of resources for Trans and gender-non-conforming students and queer students of color. Ms. Kirkpatrick received her Bachelors of Arts in Sociology from UC Santa Barbara, and Masters of Arts in Educational Leadership and Policy Studies with an emphasis in Higher Education from Cal State Northridge. Brandie began her career at UCLA in the Academic Senate Office where she worked on issues including faculty welfare, childcare, diversity, and grievances. She later assisted the Director of Diversity and Faculty Development with coordinating the UCLA Council on Advisors and many other faculty development related programs. Brandie also served as the 2011-2012 President of the UCLA Staff Assembly. In her current role Brandie oversees the UCLA Equity Advisors, ladder faculty recruitment process, Faculty Career Development Award and generates the annual Academic Affirmative Action Plan. 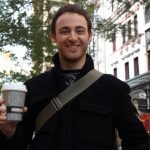 Mr. Klibaner graduated from UCLA with a degree in Communication Studies, along with minors in English and Russian Language. He also received an M.A. from UCLA’s Cinema and Media Studies program in the School of Theater, Film and Television. He is thrilled to stay in the UCLA family and join Vice Chancellor Kang’s and Associate Vice Chancellor Carbado’s teams, assisting with a great variety of projects for all branches of Equity, Diversity and Inclusion. 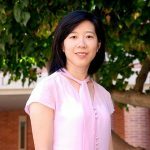 Margaret Shih is a Professor in Management and Organizations at the UCLA Anderson School of Management. Her research focuses on the effects of diversity in organizations. In particular, she focuses on social identity and the psychological effects of stereotypes, prejudice, discrimination and stigma in organizations. Prior to joining the faculty at the Anderson School of Management at UCLA, Professor Shih served on the faculty at the University of Michigan for 8 years, and also worked at the RAND Corporation. She served on the executive committee for the International Society for Self and Identity, on the board for Society for the Psychological Study for Social Issues, and was a consulting editor for the Journal of Personality and Social Psychology and Personality and Social Psychology Bulletin. She was also an editor for the special issue of the Journal of Social Issues. She has received fellowships and grants from the National Science Foundation, National Institute of Mental Health, Social Sciences and Humanities of Research Council of Canada, John Templeton Foundation and the Robert Wood Johnson Foundation. Dr. Carli Straight is the Director of Institutional Research in the BruinX office. Carli began her career at UCLA as a Principal Statistician in the Academic Personnel Office. In this capacity, Carli played a significant role in the UCOP-mandated faculty salary equity study and evaluation of the Negotiated Salary Trial Program. In 2016, she joined the BruinX office as a data scientist. Having joined the team shortly after the office was established, Carli has been a key player in the conception and implementation of major office initiatives and projects, including the BruinX Dashboards, Faculty Hiring Process Assessment, BruinXperience app, Academic Affirmative Action Plan, Diversity Scorecard, and Faculty Hiring Portfolios. Prior to working at UCLA, Carli was an institutional research analyst at a California Community College and a institutional research assistant at a California State University. She holds a B.A. in psychology from University of California, Santa Cruz and an M.A. and Ph.D. in psychology from Claremont Graduate University. 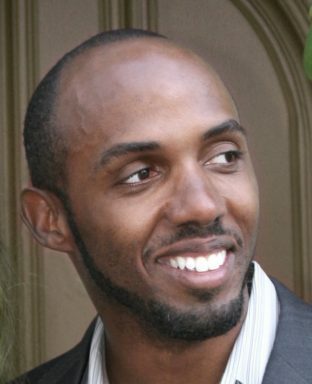 Sherod Thaxton is Professor of Law at the UCLA School of Law. His primary research and teaching interests are in the areas of criminal law and procedure, capital punishment, habeas corpus, the sociology of law, and empirical legal studies. Prior to joining the law faculty, he was an attorney in the Office of the Federal Defender for the Eastern District of California and represented inmates on California’s death row. Sherod holds a B.A. in political science from the University of California-Davis, a Ph.D. in sociology from Emory University, and a J.D. from the University of Chicago Law School. His doctoral research at Emory – a statistical analysis of racial and ethnic bias in the capital punishment system – was selected as a finalist for the American Sociological Association Dissertation Award. During law school, he was awarded the Public Interest Law Prize and the John M. Olin Fellowship in Law and Economics. Prior to law school, he received the Open Society Institute’s Soros Justice Postgraduate Fellowship and the American Bar Foundation’s Law and Social Science Doctoral Fellowship. Sherod is currently working on a series of articles examining charging and plea-bargaining in both death penalty and non-death penalty contexts, state-level procedural sentencing law, and the behavioral assumptions underpinning juvenile offending and punishment. His recent scholarship appears in the Journal of Quantitative Criminology, the American Journal of Criminal Law, and the Journal of Criminal Law & Criminology. Miguel Unzueta is a Professor of Management and Organizations. He joined the faculty at the UCLA Anderson School of Management in 2006 after earning his PhD in Organizational Behavior from the Stanford Graduate School of Business. Professor Unzueta studies the psychological underpinnings of bias and discrimination. His latest research explores the manner in which people and companies define diversity and the impact that contemporary diversity definitions have on the representation of women and racial minorities in organizations. His research has been published in top management and psychology journals. Unzueta teaches courses on negotiations, managerial psychology, and leadership in all of UCLA Anderson’s MBA programs. He is an award-winning teacher at UCLA and has been recognized by MBA blog Poets and Quants as one of the best business school professors in the country. 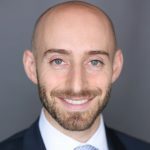 Outside of UCLA, Miguel Unzueta has conducted trainings on a wide range of management topics including negotiations, decision-making, and bias prevention. He has been invited to speak at various organizations including Honda, Fox Studios, and the Oklahoma City Thunder basketball team.